Historian Rafael Medoff's research shows how repeated pleas to bomb camps were ignored intentionally. 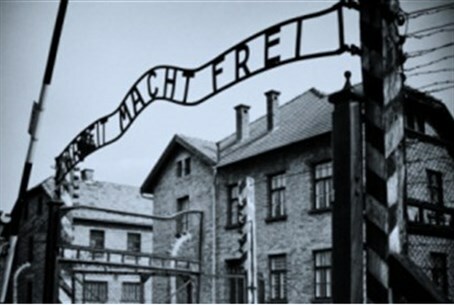 During a trip to Auschwitz for International Holocaust Memorial Day on Monday, MK Naftali Bennett (Jewish Home) asked "where was the US during the Holocaust?". Historical records suggest that the US intentionally chose not to bomb the Nazi death camps, ignoring desperate pleas. Mark Langfan, Chairman of Americans For a Safe Israel (AFSI), on Tuesday cited records to show that in essence "America and American Jews did nothing" to stop the genocide. Referencing Holocaust scholar Rafael Medoff's research, Langfan determined that the US government "purposefully failed to bomb by a definitive government decision in February 1944." According to Medoff's research, Benjamin Akzin (1904-1985), a distinguished academic and recipient of the 1967 Israel Prize, was the first person to beseech the wartime American administration to bomb Auschwitz. Akzin, who arrived in the US in the 1930s to complete a third doctorate degree at Harvard, actively lobbied for Jewish statehood, and became part of the War Refugee Board (WRB) that was established in 1944 by then-President Franklin Roosevelt. On the WRB, Akzin initiated efforts to pressure the US government to bomb Auschwitz. Yad Vashem Holocaust Memorial's internet resources note that "the first detailed information about Auschwitz reached the Allies in June 1944...the information included a request to bomb the camp and the rail lines leading to it. The Allies had command of the skies by that time." Akzin that same month wrote a memorandum to his WRB colleagues arguing for the bombing, which he wrote would "slow down the systematic slaughter, at least temporarily,” since ”it would require some time” for the Nazis to rebuild the machine of genocide. "With German manpower and material resources gravely depleted” the Nazis might be unable to ”equip new large-scale extermination centers," added Akzin. American refusal - "they might send us the Jews"
This darker incentive behind the US refusal to bomb Auschwitz is highlighted by the fact that the US clearly was able to do so militarily. "From the spring to the autumn of 1944, Allied aircraft flew over the camp several times on a mission to photograph German industrial plants a few kilometers away. In the late summer these plants were bombed, but the extermination camp Auschwitz-Birkenau was never bombed," Yad Vashem comments.